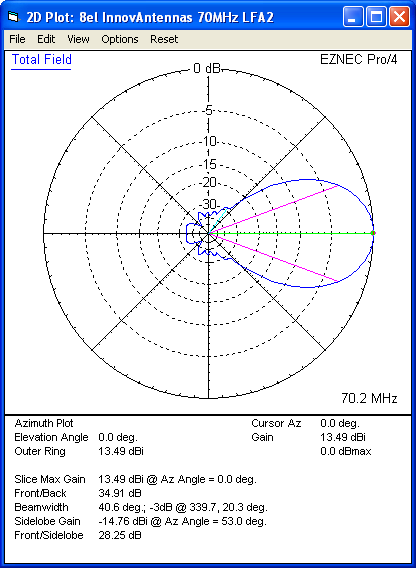 The G0KSC LFA Yagi is a major step forward in the development of the Yagi Antenna; it provides a low-noise front-end for your radio so you hear more weak signals. 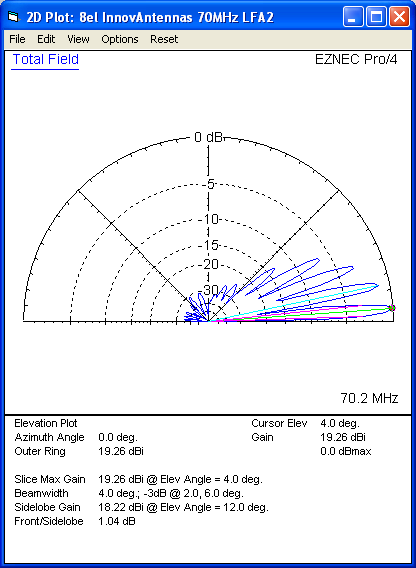 If you suffer with noise or are in a city location, this is the antenna for you. 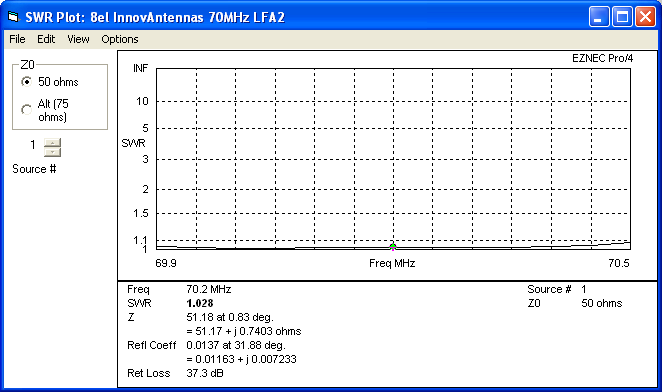 This compact 8 element 70Mhz LFA provides stunning performance across the whole 4m band (69.900 - 70.500MHz). 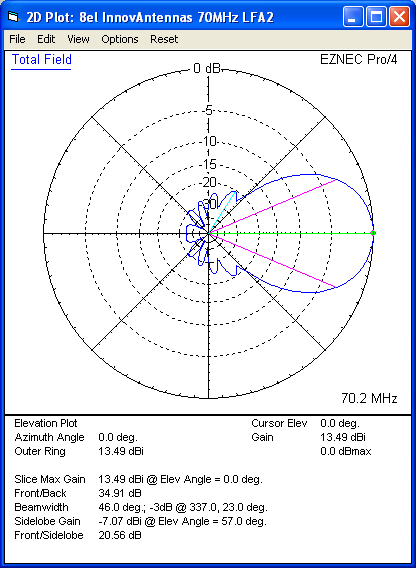 Hard to beat with a direct 50 Ohm feed-point and no matching losses !! This is an excellent stacker requiring just 4.7m spacing. See details below. 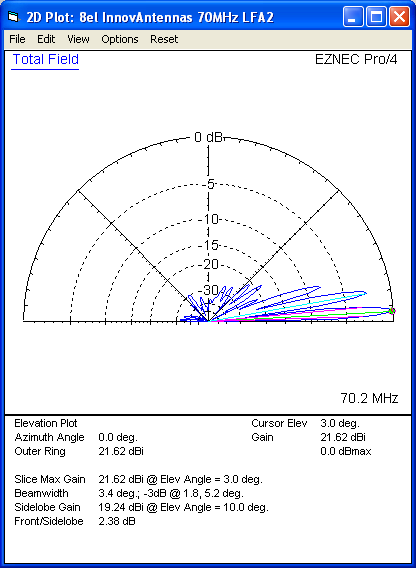 This antenna is made with single piece 1/2 inch tube elements (3/8 inch loop end sections). The antenna has fully insulated elements which will ensure continuous, high performance for many years to come. Boom to mast brackets are included with all antennas which will support 2 inch (50mm) masts. Boom is 1.25 inch square 16SWG aluminium guys required and supplied.